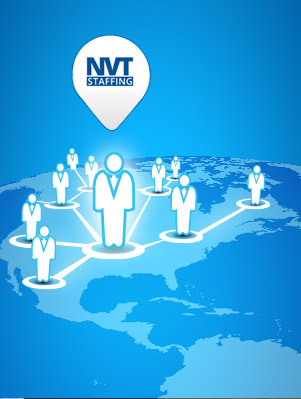 NVT Staffing is a direct reflection of the rapid growth and expansion of our parent company, Northern Virginia Temporaries, Inc.
After more than two decades of experience, NVT is now recognized as one of the top staffing companies in the greater Washington D.C. Metropolitan area. Northern Virginia Temporaries, Inc. consistently receives high praise from our clients and ranks near the top of the Washington Business Journal’s Book of Lists. Specialize in temporary, temp-to-hire, permanent placement, and payroll services to benefit our public, private, and government clients. Apply the most effective technologies and recruiting practices to provide clients with the most qualified candidates. Pay our employees competitive hourly rates, consistent with full-time wages. This inspires our employees to achieve our clients’ goals. Our status as a Certified GSA (General Services Administration) contractor empowers our employees to work at federal facilities, filling essential positions including finance, property management, engineering, medical, legal office, and technical jobs.